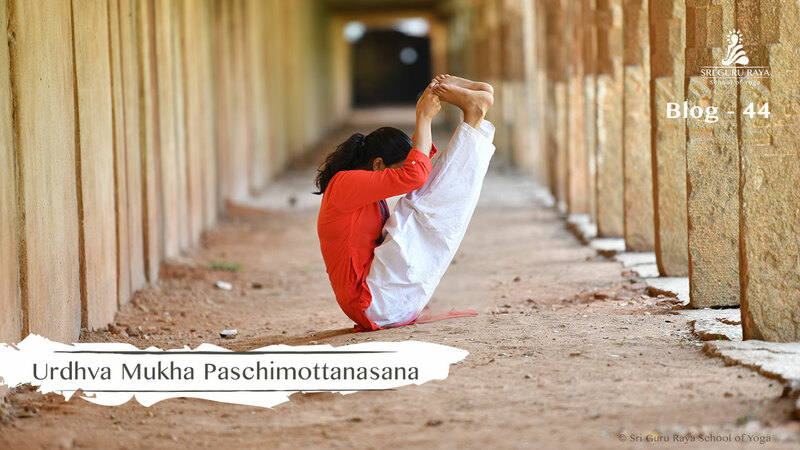 What is Urdhva Mukha Paschimottanasana? This Yoga pose strengthens your hip flexors and abdominals; lengthens your hamstrings also. Beneficial in mild depression, stress and calms your mind. Urdhva-Mukha Paschimottanasana stretches your legs, shoulders, and spine. Improves your digestive system; stimulates your kidneys, ovaries, uterus, and liver. Increases your appetite, cure general diseases and helps to reduce obesity. Upward Facing Intense Stretch Pose Lengthens your leg muscles intensely. Relieves in backaches, it tones your internal organs. Upward Facing Intense Stretch Pose Improves your concentration level. Start the Asana by sitting in the Dandasana (Staff Pose), after that lay down gently on the floor. Breathe in and raise your arms to overhead. Breathe out and raise your legs straight off the floor. Lift up your hips and take your feet to the hands, grab your big foot toe or the sole. Inhale and keep your spine straight (during the process, it’s important that your spine should be erect). Exhale, curl in and roll forward to maintain the balance. Breathe in, as you balance well, set your eyes upwards (gaze upward). Breathe out, fold your midsection (torso) to the legs (completely try to touch your torso to your legs, same as in Paschimottanasana). Use your limbs strength to maintain the balance and remain in the pose with five breath and it’s a final position of this pose. People suffering from severe Spinal or Knee injuries should avoid this asana. Avoid practicing this asana during pregnancy and menstruation.